Is this name elegant Audrey’s tomboy cousin? 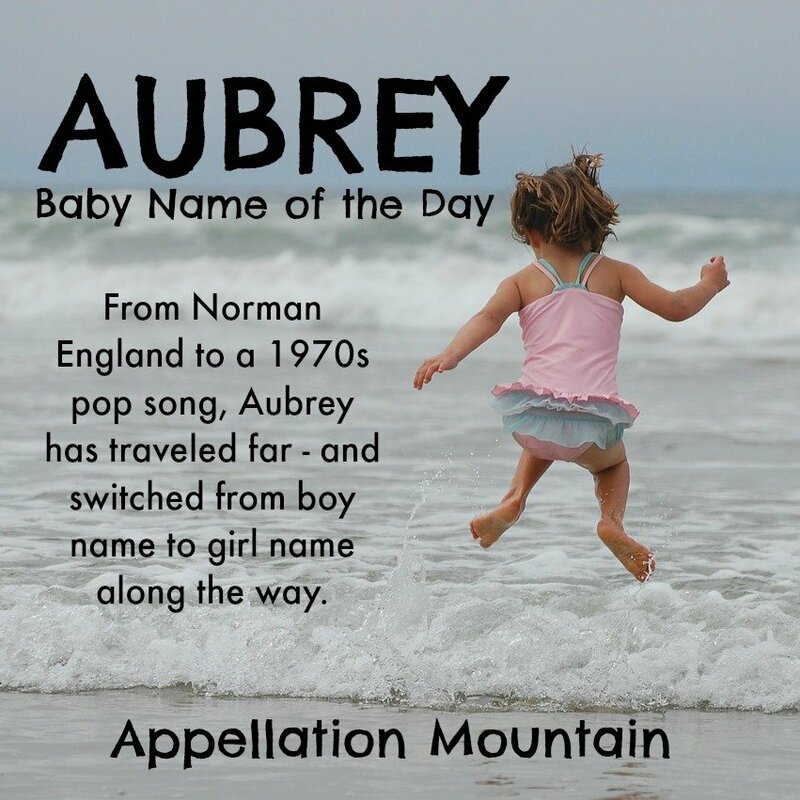 Thanks to Sara for suggesting Aubrey as our Baby Name of the Day. It all begins in England. The Normans brought the Germanic Alberic with them. The first element is that familiar alf – elf, and the second comes from ric – power. It was Latinized as Albericus, and there’s an Anglo-Norman noble family that passed the name down over the generations. The first Albericus de Vere was a baron during the time of William the Conqueror. His name was passed down to his son, and remained in the family for generations. Aubrey de Vere was the 1st Earl of Oxford in the twelfth century. This makes the case that Aubrey was traditionally male, and pirated by twenty-first century parents for their daughters. Except Albreda and Albrea appear as feminine forms of Alberic. Aubrey or Awbrey appears in medieval England – at least sparingly – as a common feminine form of the name, too. French form Auberon is the source of Shakespeare’s fairy king, Oberon, in A Midsummer Night’s Dream. There’s a long history of Aubrey as a surname and masculine given name in the US, especially through the first half of the twentieth century. Child actor turned rapper Drake was born Aubrey Drake Graham in 1986. By the 1970s, Aubrey was fading. And then along came a song by Bread. The single reached as high as #15 on the Billboard charts in 1972. And bam! In 1973, Aubrey appeared in the US Top 1000 for girls for the first time ever, debuting at #883. It didn’t ruin the name for boys, exactly – in fact, Aubrey remained in the boys’ Top 1000 until 2002, slowly fading, just as it had been before the hit song. Remember how it was actually Audrey Hepburn’s performance that inspired the songwriter? Audrey was well-established as a girl’s name in the 1970s, but it wasn’t particularly fashionable. The name ranked #278 in 1972, after spending the 1920s, 30s, and 40s in the US Top 100. Miss Hepburn’s star-making turn in Roman Holiday was back in 1953. So while we often dismiss Aubrey as a trendy, unisex spin on Audrey, the numbers don’t quite bear this out. Because Audrey also started to climb after the Bread single. Comedienne-actress Aubrey Plaza was named after the song, and she was born in 1984 – more than a decade after it charted. Check out the numbers for both names that year. Aubrey was up to #184, and Aubrey to #367. Today Aubrey just plain fits with names in vogue for girls: fellow Top 20 picks Addison and Avery, as well as up-and-comers like Paisley and Emery. And yet, you might find that Aubrey has more history than some other popular names. With a history of using stretching back to the Norman invasion, Aubrey may not be surprising or unusual, but this name has roots. What do you think of Aubrey? Overused? Better for a boy? Or pure perfection for a daughter? I like Aubrey for both genders. It’s one of those that feels truly unisex to me like Robin and Rowan and River (huh, there’s something unisex about the letter R, I guess). I also do love the smoosh of Aubrianna. Aubrey Drake Graham is Canadian rapper (and former “Degrassi” star), Drake’s full name. Maybe if Drake had stuck with Aubrey, Aubrey would have gained momentum for the boys, but I think most people/non namenerds would associate Aubrey with girls. Teen Mom 2’s Chelsea Houska has an Aubree and with actress Aubrey Plaza getting a lot of attention the last few years, I think Aubrey will continue to rise in useage for girls. 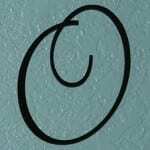 Fair point about variations – Aubree ranked #52 in 2013, and was up from 2012. Aubrie, Aubri, and Aubrianna fell in 2013, but Aubrielle was up more than 100 places. Definitely one to watch when the 2014 data comes out in May! I like Aubrey, but only on a boy. Makes no sense to me when you have Audrey already available for girls, and feel the need to get the masculine version for a daughter. I think the Bread song was probably the first place lots of people heard the name, Allure – which was about a girl called Aubrey. In the 1970s, Audrey was probably considered old-fashioned in a not-so-stylish way, which opened the door for Aubrey.